Though she’s only been the Canadian consul general in Miami for just over three months, Susan Harper is adjusting quickly to her new position by identifying her priorities, traveling throughout the state and cooking up ways to help Floridian and Canadian businesses establish links to last a lifetime. There are currently over 315 Canadian-owned companies operating in Florida, according to the Consulate General of Canada in Miami. Those companies alone are responsible for over 42,700 jobs throughout the state, many in innovative sectors such as modeling and simulation and digital media. And as it turns out, Canadian-owned businesses are directly responsible for over $1.7 billion in salaries. The Florida-Canada trade relationship is worth over $8 billion, and 620,200 jobs in Florida depend on trade and investment with Canada. 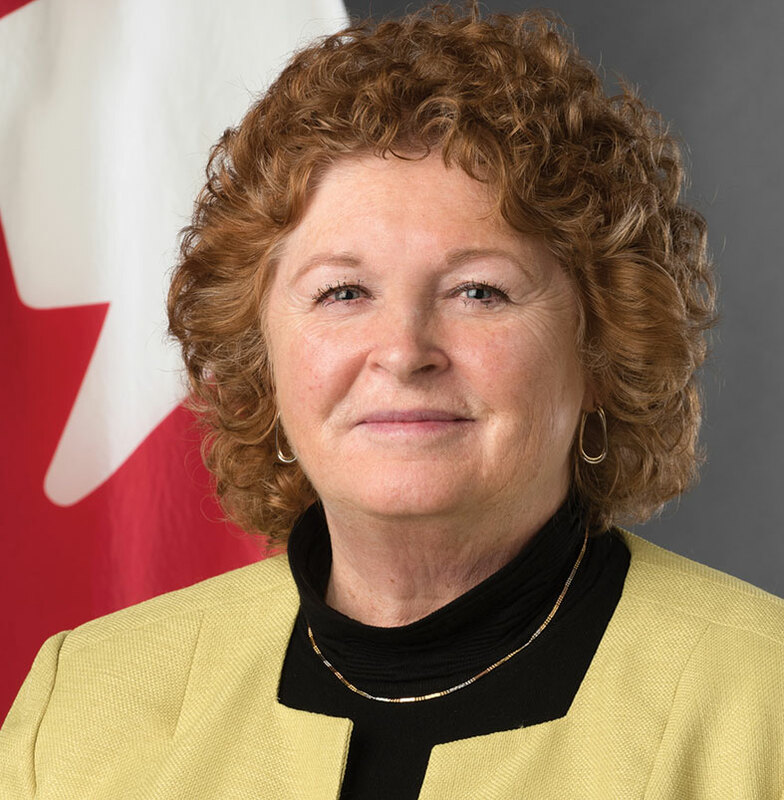 As consul general since July, Ms. Harper hopes to strengthen the trade, investment and business connections across borders. “As a Canadian, I knew that there were a lot of Canadians who came here to visit, snowbirds, and permanent residents,” Ms. Harper said. What she didn’t realize, however, was that Canadians are Florida’s No. 1 international tourism market, with more than 4.2 million annual visits to Florida and $5.1 billion in spending. “Both of our economies are very linked to continuing to do international business,” Ms. Harper said. Though she said she’s still “too new to see where the gaps are” in the Canada-Florida trade and investment connections, the consulate has identified three unique industry sectors that are being prioritized. The first of those is clean technology, which can be defined as energy, efficiency, and environmental technologies that promote sustainable use of resources and environmental protection. “Clean tech is important to [Canada] as a country because of the focus on climate change and environmental issues,” Ms. Harper said. Canada is now the seventh largest renewable energy producer in the world, and its clean tech sector is growing at 9% annually. The second of the sectorial priorities is health sciences. This industry consists of a large group of disciplines related to the delivery of health care through the application of science, engineering, mathematics and technology. “This seems to be an important priority from the [Florida] governor on down and we certainly have things to offer in the health sciences area,” Ms. Harper said. The last of the three sectorial priorities is the high tech industry. Though it’s difficult to define exactly what goods and services fall within the industry’s borders, it typically includes products using the most advanced technology available and often incorporating advanced computer electronics. The I-4 – or Interstate 4 – corridor is typically defined as Florida’s beltline, encompassing the area from Tampa to Orlando to Melbourne, and has more recently been a hotbed for the state’s high tech development. Canada continues to be Florida’s No. 1 destination for agricultural products, according to the consulate. Canada buys nearly $1 billion – almost one-quarter – of Florida’s agricultural exports, 4.5 times more than Florida’s No. 2 partner. In 2015, Canada purchased $232 million (77%) of Florida’s fresh vegetable and $243 million (61%) of its fresh fruit exports, and remains the leading destination for Florida orange juice. Canada and the US trade an average of $1.3 million in bilateral goods and services every minute of every day. “That’s not even counting the banking sector,” Ms. Harper said. Florida’s top good exports to Canada equal $3.9 billion and include fertilizers, aircraft, optical, medical and precision instruments, fruits and nuts, and vegetables. Top goods imports equal $4.2 billion and include fuel oil, engines and turbines, furniture and bedding, aircraft, and softwood lumber. Florida’s top services exports to Canada equal $3.8 billion and include travel, transportation services, business, professional and technical services, royalties and license fees, and insurance services. In a recent trip to Tallahassee, state officials reconfirmed interest in using public-private partnerships. Typically called P3s, they are business ventures that are funded and operated through a partnership between government and one or more private sector companies. Ms. Harper commended the outcome of a P3 partnership at PortMiami that resulted in the dredging of the main shipping channel and its ability to handle fully laden post-Panamax class vessels. However, Ms. Harper said, she’s fully aware that the Canada-Florida relationship isn’t only beneficial to one side.